We are a temple of Freemasons in Seattle, Washington, located near Green Lake. We have been practicing the art and science of Freemasonry since 1873. 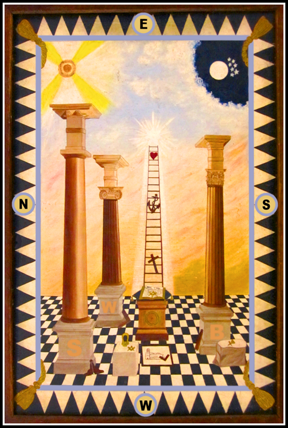 Freemasonry consist of a course of moral and philosophical instruction illustrated by symbols and taught by allegory. The men of this lodge are actively engaged in the betterment of one another, for, this is what Freemasons do. Eureka Lodge #20 is one chapter of a fraternity that spans all of time and space -that is, around the entire world and throughout most of history. Please visit our "Freemasonry" section of the website to learn more about it. Through this site masons and guests can keep up to date on what we are doing should anyone ever want to join us in any of our activities. All are welcome. Simply contact us through the contact page. Join us in the work of building a more noble future for posterity. The origins of Freemasonry are not quite known to anybody alive. The truth gets lost somewhere in between the details of the historical and legendary stories of the craft. It's legends take us back to the building of King Solomon's temple in Jerusalem circa 1000 BC; history teaches that the first lodges emerged from the stone masons' guilds of the middle ages in Europe; there are stone engravings of the square, compasses, level, plumb, and trowel (the working tools of Freemasonry) excavated from Egyptian archaeological sites that date back to 3000 B.C. Masons are a group of men that meet in a Lodge (or Temple) regularly to study Masonry, share their experiences in Masonry, and build the future of Masonry together. Through these activities, the brothers of a lodge learn to take responsibility for their lives and to look after one another. They grow in manhood, in leadership, in mentorship, and in their sense of duty to God, neighbor, country, and family. Read more about Who Are Masons?